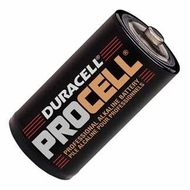 Manufactured specifically for professional and industrial applications, these batteries are among the most dependable, long lasting alkaline power cells available. Value-priced bulk quantities equate to substantial savings. Secure seal corrosion resistance protects valuable, sensitive equipment.